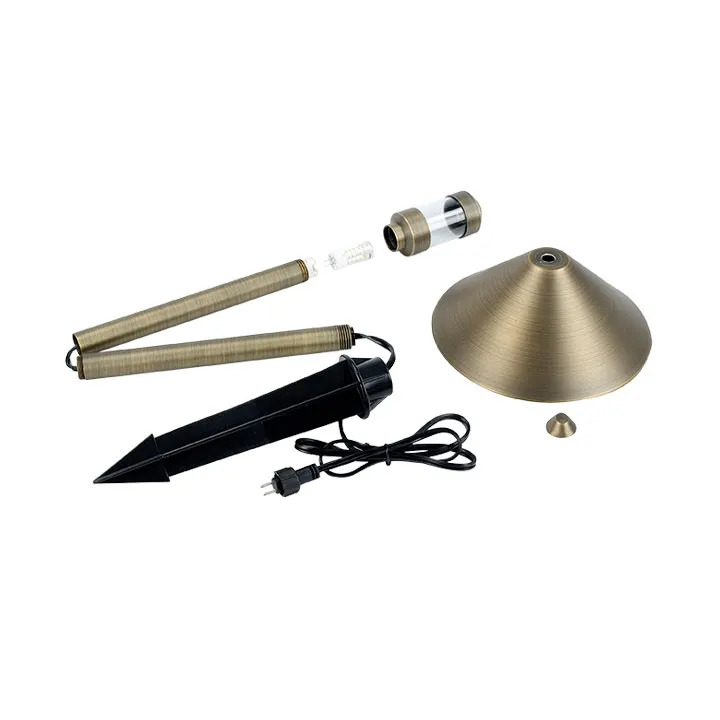 Path and Area 3-Watt LED Dome Top Landscape Light - Aquascape, Inc.
Aquascape Path and Area 3-Watt LED Dome Top Landscape Lights make it easy to illuminate any landscape or outdoor area. These energy-efficient LED lights provide beauty, safety, charm, and visibility in any residential or commercial space, enhancing driveways, garden paths, plant beds, and areas surrounding waterfalls, ponds, and fountains. The dome top shade design provides a modern, elegant look, ideal for a wide variety of spaces. The included 3-Watt LED bulb provides a warm 2700K output and a 25,000 hour bulb life span. 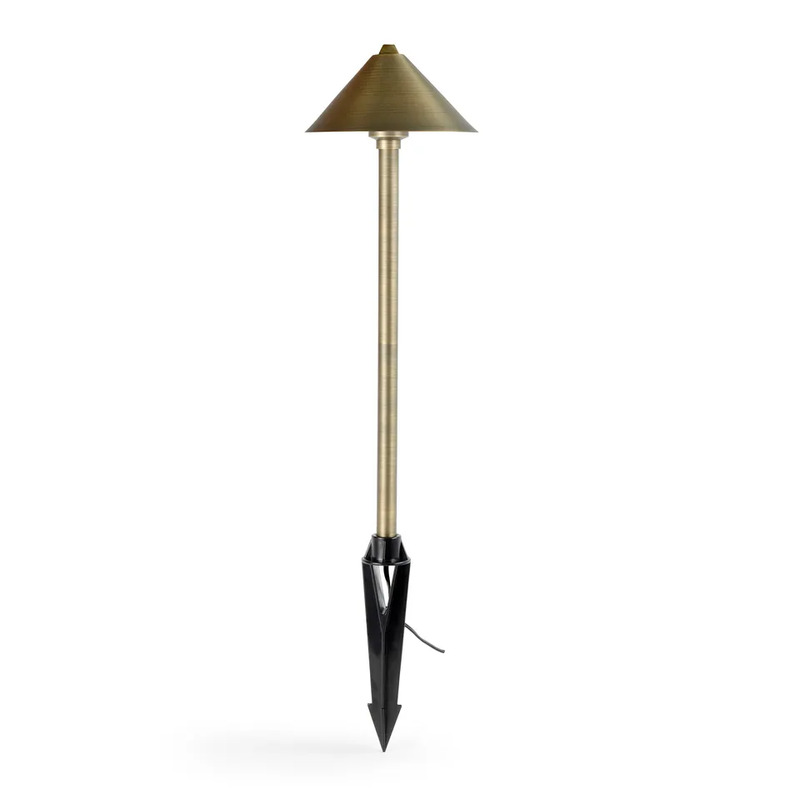 Each fixture features durable brass construction with an antique bronze finish, providing a long-lasting, professional-quality light that can be enjoyed year after year. 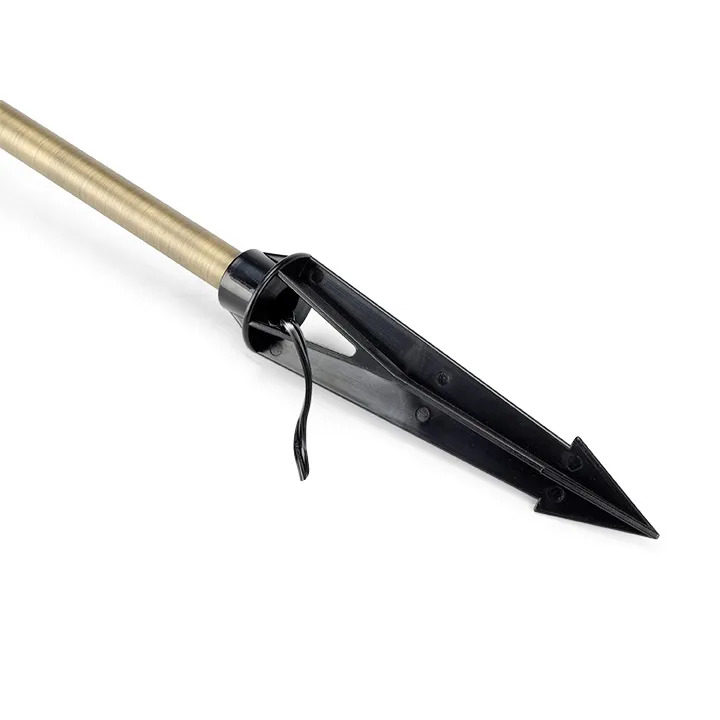 The included heavy-duty mounting stake and 3 lead wire with quick-connect fitting makes installation quick and easy. A clear, acrylic lens effectively protects the LED bulb from outdoor elements and the highly reflective white ceramic shade paint ensures maximum light output. Each fixture contains a water-tight, silicone sealed wire exit to prevent moisture and insects from entering the light. 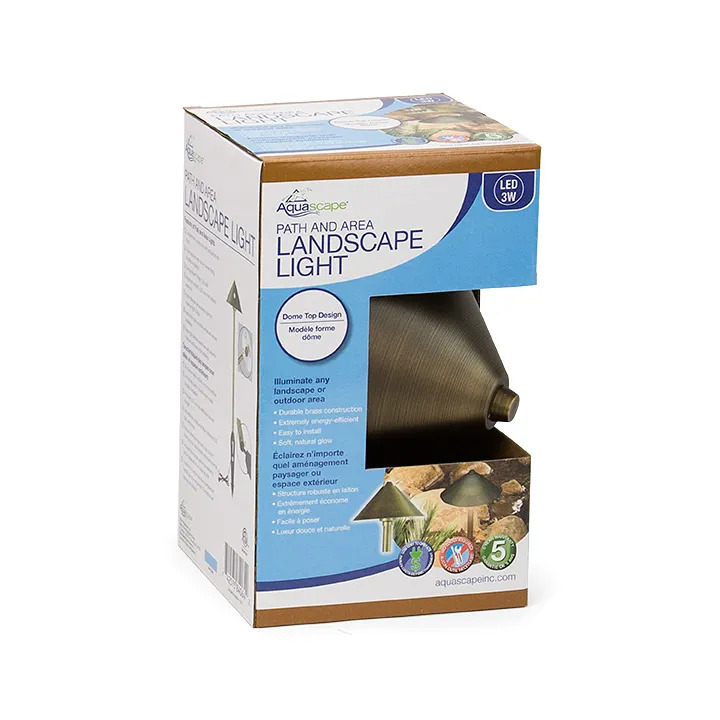 Aquascape Path and Area Landscape Lights are also available in 6-packs, ideal for professional installers or projects with multiple lights. Aquascape is passionate about the products we produce, providing unique products, designs, and features that stand above the competition.